is in Excellent New Condition. Works great with all models! Please Let Us Know Via Email The Model Number Of bread Machine That You Have From The Following List Above. This will prevent any mistakes or confusion. It will also help us get better aquainted with your needs for bread machine parts. Bread Machine Parts Finder has recently aquired its largest purchase ever of liquidated department store bread maker returns from an International Liquidator. Amazingly there are hundreds of older model bread machines listed on the detailed invoice. 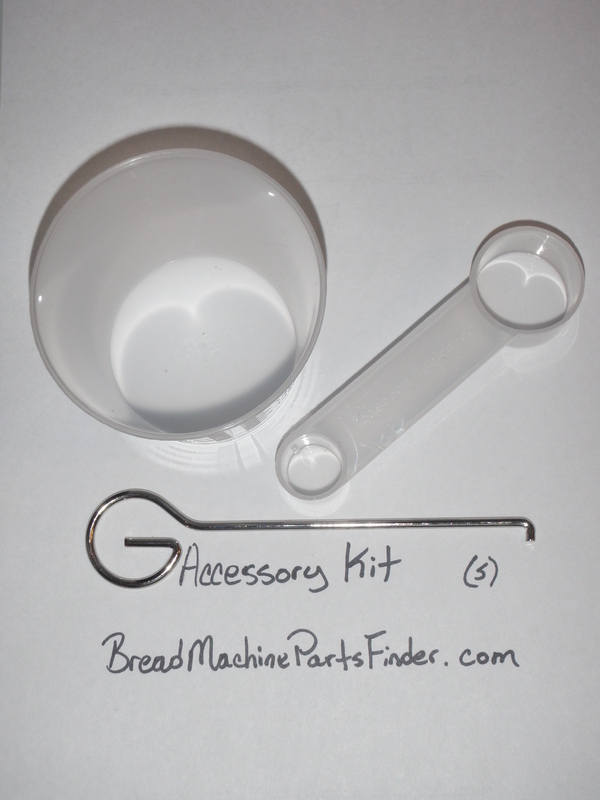 We are very excited to be able to provide these parts for discontinued bread machines. Let us know the model number of your bread machine and we will let you know if we have the part you need for your bread machine. *Please be aware that it will take us a very long time to individually inspect and list each part from the thousands of bread machine parts that we have aquired. If you do not see the part you need listed in our store just email us with the brand & model number of your machine. We will search our warehouse for that brand and model number. If we have the part we will inspect the part, upload a picture, and list the item in our eBay Store for you to purchase. *Please do not ask us to sell items outside of eBay. *We will not be offering any whole machines from this aquisition. *We will be parting out all machines due to the possibility of electronic defects. If you have any questions please ask before you "Buy". All of our used items are sold "as-is", however we do test all electrical or moving parts. Any part that does not perform as it should will not be listed. Refunds are given only for items that were listed improperly or by mistake. If you make a mistake when ordering , email us to let us know. We will be happy to exchange the item for the correct model or apply your return toward store credit. Refunds will only be given for items that are not as described or if incorrect part was sent.